Image illustrates the dangers of high winds on metal roofs. WindBar could have prevented this panel damage and subsequent interior water damage. Prevent Wind Damage While Reducing Metal Roof Wind Noise By Up to 95%! 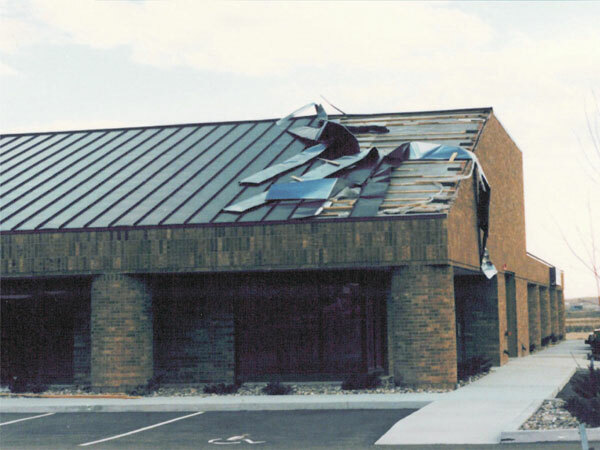 Coastal winds, micro bursts, hurricanes, and tornadoes cause millions of dollars in metal roof damage every year. WindBar is a patented, external purlin system mounted with stainless steel, non-penetrating seam clamps and our patented WindStopper foot. Once installed, a square bar spans between clamps, and the Windstopper is attached to the bar over the middle of the panel. The Windstopper foot holds down the middle of the panel, preventing lift caused by negative wind pressure. Engineered to increase a metal roof's wind uplift performance by up to 300%. This is the industry's only system that prevents seam disengagement while also preventing pillowing of the panels. 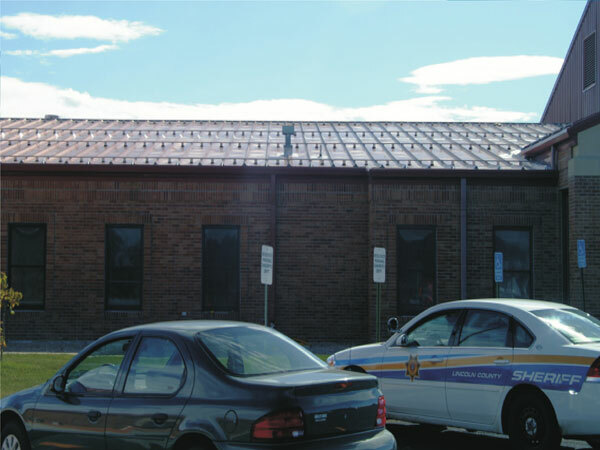 Metal roof damage can now easily be avoided with the use of the WindBar system. WindBar is designed to help your building meet the new tougher ASCE 7-98 wind code guidelines. WindBar can also be designed as part of a full snow retention system for additional protection from sliding snow and ice, all in one easy to install system. WindBar is a custom designed system based on your project specific requirements. Once we receive your completed Quote Request Form, your system will be custom designed and a formal quote will be prepared including freight costs. This design service is free and there is zero obligation or pressure to buy! 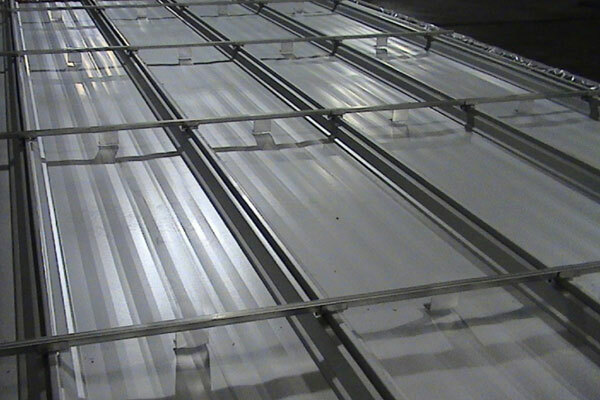 The image above shows the WindBar system installed on a test panel during ASTM E-1592 wind tunnel testing. In high winds, the noise from the metal roof panels slapping the deck on the Lincoln County Justice Center was deafening. WindBar was the solution!